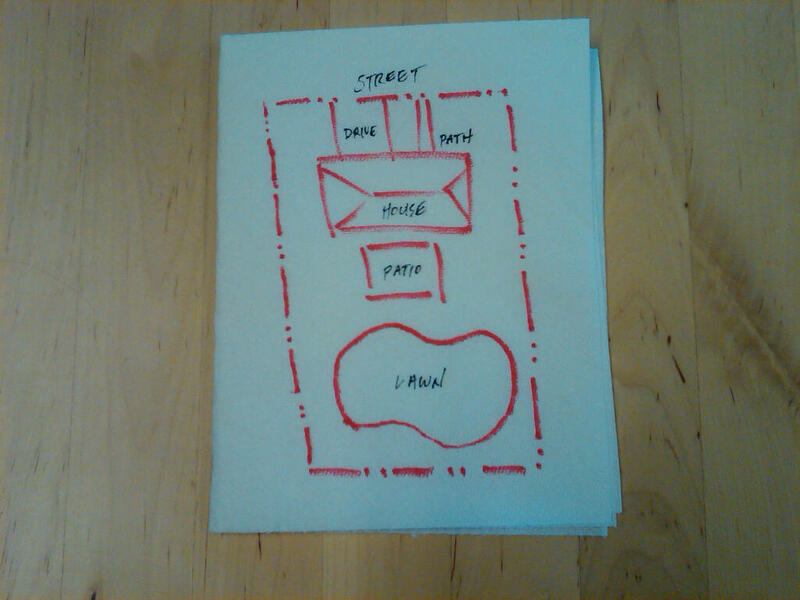 The Napkin Plan Syndrome is something we see a lot in our office when we are doing take-offs. 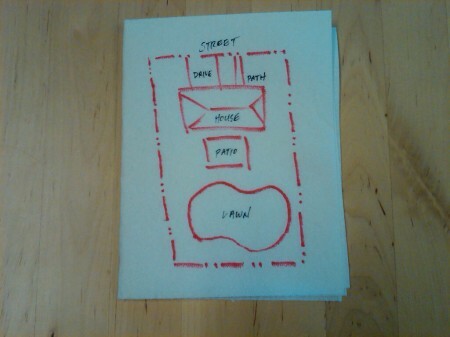 What is a napkin plan? It’s a drawing that lacks sufficient detail to be bid properly (e.g. something that was drawn on the back of a napkin). Landscape architects and designers can frequently omit important details or submit a conceptual plan for bid instead of a true construction document. While this may be easier, save time, or reflect the stage of the design process for the project, it’s enough to drive us crazy. Poor material specification: Work labeled Stone Patio, or Wood Deck (what kind of stone or wood- 2 dollar tile from Home Depot? $20 Travertine imported from Italy?). No size/length specification: Yes you can have the contractor perform takeoffs of areas like irregularly shaped lawns, patios etc. Most of the time this information could be provided with a couple of clicks in a design program. It would save bidding contractors a lot of work, and result in more consistent and accurate bids for project clients. No plant specification table: Planting plans often don’t have a table counting the plants. Again, it’s easier to make the contractor count the hundreds of plants on your plan, but doesn’t produce help produce consistent bids. Planting tables also often lack container sizes. Bidder design irrigation: Also known as have the contractor design a complete irrigation system without any specifications or guidelines. Suffers from the same problems as the previous examples.